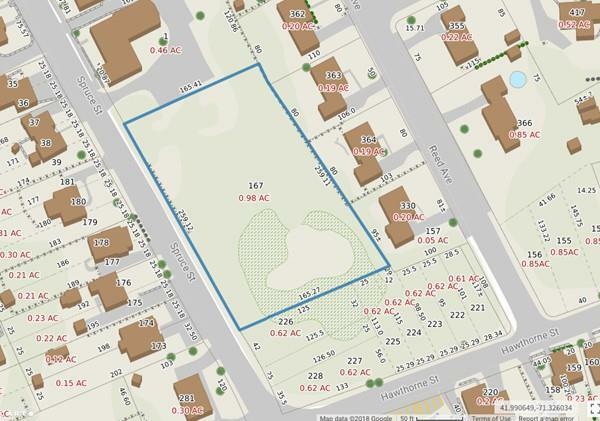 Just under 1 acre of land located in North Attleboro. Easy access to both Route 1 & Route 1A. Zoned R-15 for a single family residence with plenty of frontage. Town water and gas at the street. Currently, town sewer ends at 92 Spruce Street, which is the single family residence next-door. Buyer & Buyer's Agent to do due diligence. All engineering, permitting, etc. is responsibility of the buyer. Sold as is.